The new C-Class sedan offers luxury at an attainable price point. From Mercedes-Benz mbrace® connectivity to optional AMG® performance upgrades, the C-Class checks every box. 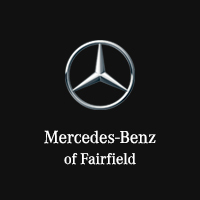 Explore our current C-Class inventory before making your way to Mercedes-Benz of Fairfield near Westport to take a test drive! Comes equipped with: Blind Spot Assist, Body Color Rear Spoiler, Burmester Premium Sound System, Heated Front Seats, Heated Steering Wheel, Illuminated Star, Inductive Wireless Charging with Nfc Pairing, Multimedia Package, Panorama Sunroof, Polar White, Premium Package, Silk Beige, Mb-Tex Upholstery, Wheels: 18 Twin 5-Spoke. Why Choose a Mercedes-Benz C-Class Sedan? Other key standard features on the C-Class include ATTENTION ASSIST®, DYNAMIC SELECT®, Active Brake Assist, Torque Vectoring Braking, an ECO-START® system, PRESAFE®, and much more. Even at the base level, you’ll get the best of the best in a C-Class. Ready to compare the C-Class vs. A-Class or the C-Class vs. E-Class? Visit our dealership near Weston today! You can contact us in advance if you have any questions or simply want to schedule an appointment. On a budget? Feel free to browse our used C-Class options as well! We look forward to helping you find the luxury car that suits your style and budget.